Free Shipping Included! 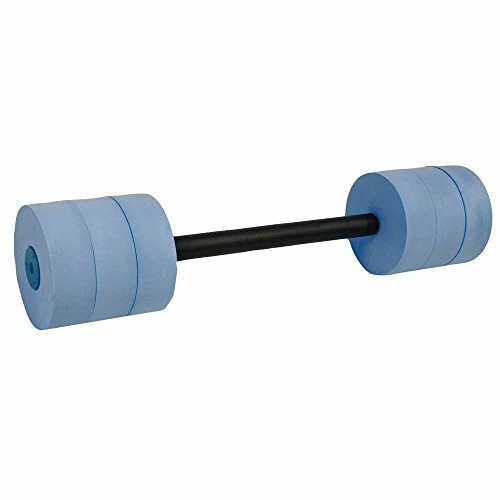 Power Systems Bar Float for Swim Fitness Training, Water Dumbbell, 25 Inches, Blue (86590) by Power Systems at Cardio Fitness Plus. MPN: 86590. Hurry! Limited time offer. Offer valid only while supplies last. This 25 inch version of the Water Dumbbell features triple floats at each end. It provides stable, secure buoyancy for added support and resistance. This 25 inch version of the Water Dumbbell features triple floats at each end. It provides stable, secure buoyancy for added support and resistance. Not adjustable. Since 1986, Power Systems' passion for fitness has been fueled by our customers. Power Systems is committed to ensuring people have the tools to lead active lives with professional-grade products, cutting-edge educational materials, and elite customer service. “Power Your Potential" is the philosophy that guides everything Power Systems stands for. View More In Aquatic Fitness Equipment. If you have any questions about this product by Power Systems, contact us by completing and submitting the form below. If you are looking for a specif part number, please include it with your message.